Last month, my husband and I visited Budapest Hungary. 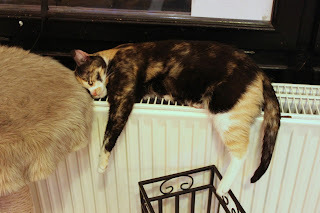 I'm not much of a cat person, but he is, so when I saw the card at our hotel for 10% off if you took in the card, I decided going to the cat cafe could be interesting. I'd never heard of such a thing, but I don't have TV, so it's not unusual for me to miss news of unique things like this. From my understanding, there are a number of these in the world. 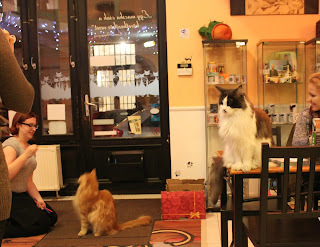 The food was good, and everything cat cat themed. 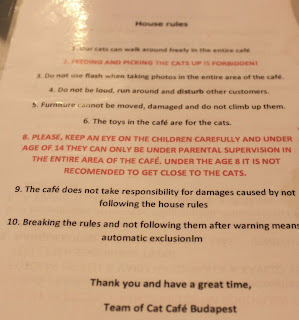 There were rules for visiting, such as the cats had the reign of the cafe, no flash photography, etc. 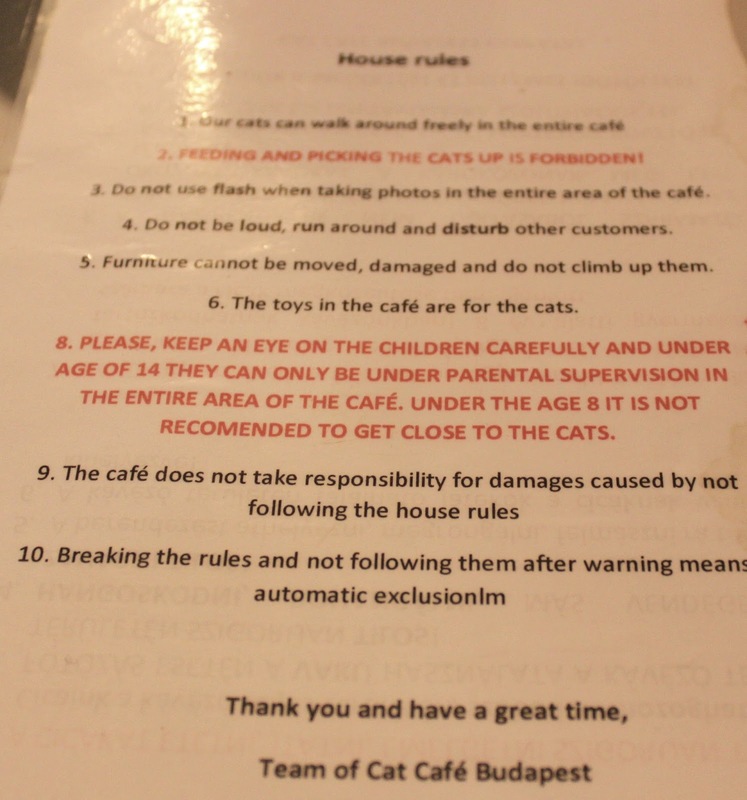 To keep things sanitary, the food was prepared in an area closed off by glass so the cats couldn't get in the food prep area. The cats' litter box was downstairs. The food was good -- very average sandwich type food for Budapest. The prices were average, but the face that a cat could join your table -- literally on your table -- was the best part of this cafe. 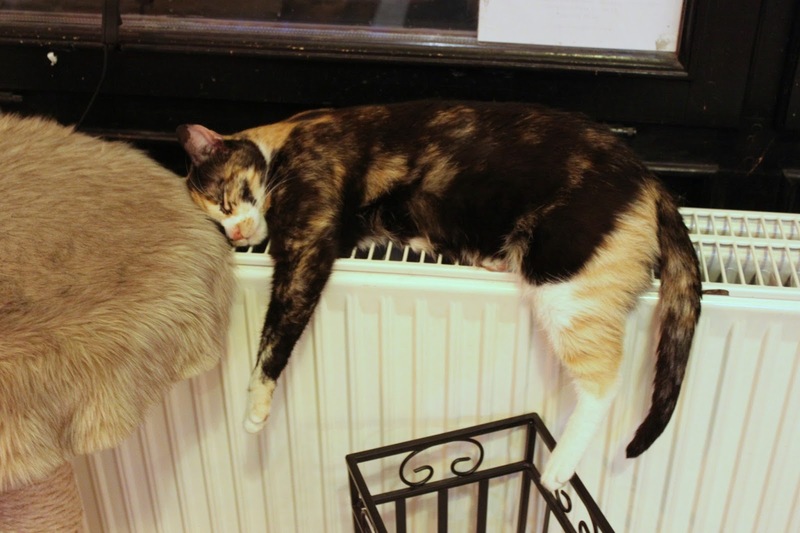 The cats were trained to not eat human food, and one of the rules said you could not feed the cats. This would be a fun place to visit for any cat lover or anyone who wishes they could have a pet but can't. 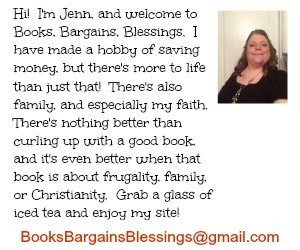 You can also visit their website or their Facebook page. 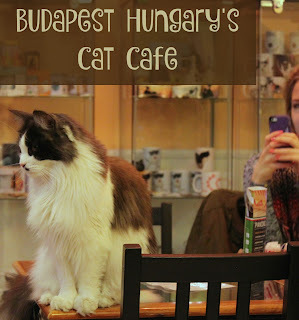 A definite must see for Americans when traveling to Hungary because it is such a fun place to tell people you visited.